How can you make sure your data is more Findable, Accessible, Interoperable and Reuseable (FAIR)? Making your data FAIR can improve the visibility of your research and accelerate sharing your data. We will be taking a broad overview of the FAIR data principles and the resources available to you through the USC Libraries to improve your ROI on Data. Free Pizza and Bottled Water will be served. Starting Monday, 10/2/17, the library will resume normal operating hours. There will be limited access to the basement level, limited only to restrooms. Full access to the lower level will be restored at a later time. An update on that will follow in the next few weeks. Monday – Friday (9/18 – 9/22) – 7:00 a.m. – 7:00 p.m.
Saturday and Sunday (9/23 and 9/24) – 9:00 a.m. – 5:00 p.m. The lower level continues to be not accessible, this includes the restrooms in the library. Restrooms are available in all of the buildings adjacent to the library. Monday – Friday (9/11 – 9/15) – 7:00 a.m. – 7:00 p.m.
Saturday and Sunday (9/16 and 9/17) – 9:00 a.m. – 5:00 p.m. The lower level is currently not accessible, this includes the restrooms in the library. Restrooms are available in all of the buildings adjacent to the library. Thursday and Friday (9/7 and 9/8) – 7:00 a.m. – 5:00 p.m.
Saturday and Sunday (9/9 and 9/10) – 9:00 a.m. – 5:00 p.m.
UPDATE 9/6: The Norris Medical Library will remain closed to the public Wednesday, September 6. We hope to reopen for limited hours on Thursday, September 7 (7am – 5pm). The library is closed until further notice due to extensive flooding. The library will not open on Tuesday, September 5, and we will make a decision on when we will re-open later today. We apologize for this inconvenience and hope to be open as soon as we safely can. Thank you for your patience. USC Norris Medical Library is partnering with libraries worldwide in #ColorOurCollections week, February 6 – 10. You’ll find images from USC Norris Medical Library’s rare books and colored pencils on tables around the library that you can color in. Share your creation on social media with the hashtag #ColorOurCollections and view artwork from other library patrons. Have you ever wished your PowerPoint presentations looked more professional? Have you struggled all day on a PowerPoint presentation… only to have created just a few slides? This session is offered Thursday, October 6th from 12-1 in the Norris Library Computer Classroom. RSVP at https://uschsl.wufoo.com/forms/zraz6to03xokpw/. Please note, food and drink are not permitted in the Computer Classroom. The Norris Medical Library will be closed Monday, July 4, to celebrate Independence Day! We will resume our regular hours on Tuesday, July 5. Blind Date with a Book – We Want your Feedback! It’s now March so Blind Date with a Book 2016 has come to an end. We hope you enjoyed checking out our eligible reads! If you participated in Blind Date with a Book we’d love your feedback! Each book came with a paper survey that you can fill out and return to the Norris Medical Library loan desk. Lost your survey? No sweat – just fill out the online version here. And to sweeten the deal, all surveys submitted by March 11, 2016 will be entered into a drawing for two $20 Starbucks gift cards! Homelessness Awareness Week (HAW) is February 21-27, 2016. 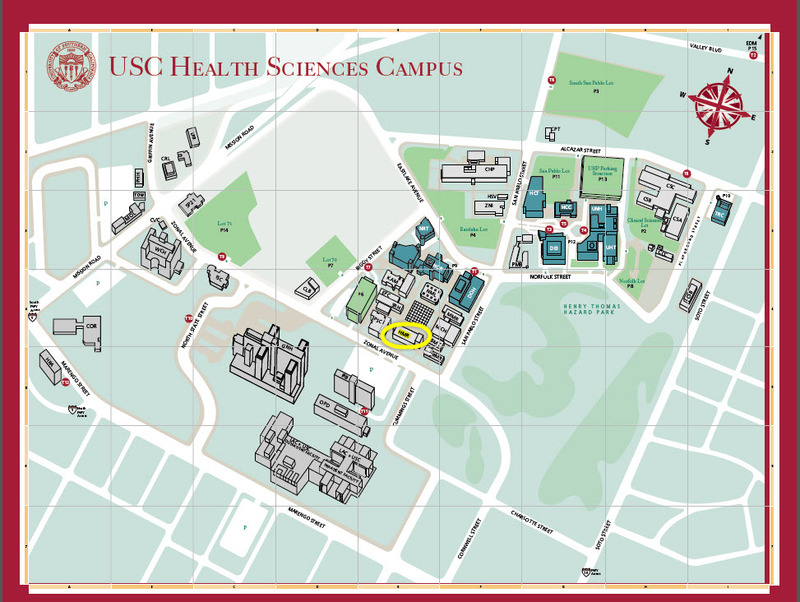 The student members of the Family Medicine Interest Group, Meds-Peds Interest Group, and Health Policy Interest Group of the Keck School of Medicine at USC have planned several events to help you learn about topics relating to homeless health and health care. Through the activities planned for this week, attendees will gain a perspective of how social, cultural, economic, political, and other factors come together to impact homeless health disparities. These events will empower you with tools and knowledge that will enable you to better care for and advocate for homeless patients on a day-to-day basis. In addition to the events, consider joining an enrichment activity taking place off-campus (see options and sign up at https://goo.gl/hIEx86) or donate clean women’s clothing and toiletries to the Downtown Women’s Center in MDL 204B (please provide all donations by 5 pm on February 26th). All events are being held at the Keck School of Medicine in McKibben Hall and are open to all USC students, staff, and faculty. All events include free food! Email Justin Trop at trop@usc.edu with questions. Tuesday, Feb 23: Experiences of Mental Health and Mental Health Service Provision Among the Homeless Population, 5-6:30pm, McKibben Hall 204B. Small group discussion regarding disparities in mental illness among the homeless population, the relationship of mental illness to homelessness, what perceptions exist about this relationship, experiences of living on the streets and trying to maintain mental health, and provision of mental health services to homeless patients. Through this panel of clinicians who work closely with homeless patients, students will learn about the experience of providing health care to homeless patients and the challenges in doing so as well as health disparities among the homeless population and ways in which medical students, other health professions students, and clinicians can address these health disparities. Thursday, Feb 25: Housing is Health: Connecting Homeless Patients to Housing, 12-1pm, McKibben Hall 149. A panel discusses housing and its effects on morbidity among homeless individuals. Learn about what types of housing services are available for homeless individuals and the process through which these individuals can access such services. Thursday Feb 25th: Community Advocacy Around Issues of Homelessness, 1-2pm, McKibben Hall 149. A panel includes experts in journalism, law enforcement, and medicine who work or have worked as advocates for individuals experiencing homelessness in Los Angeles. These individuals will share their experiences and discuss how medical students, other health professions students, and clinicians can best advocate for and promote the health and well-being of homeless individuals.